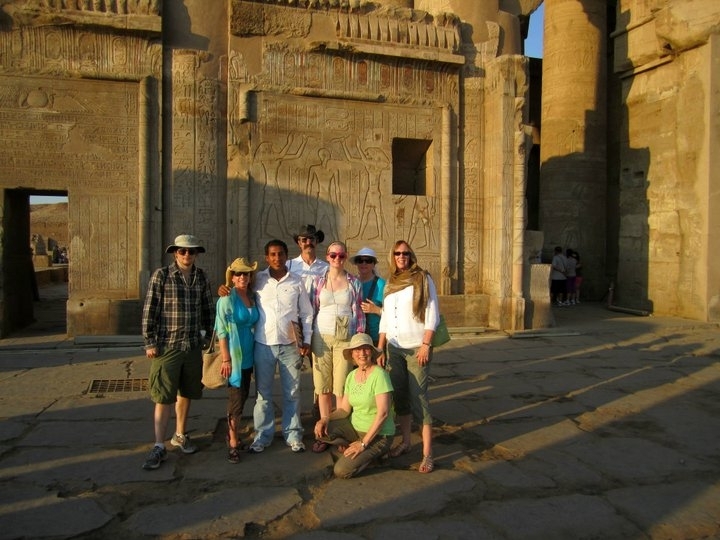 The word kom means “hill” in Arabic, and in fact the temple stands on a kind of low acropolis overlooking a large loop of the river. 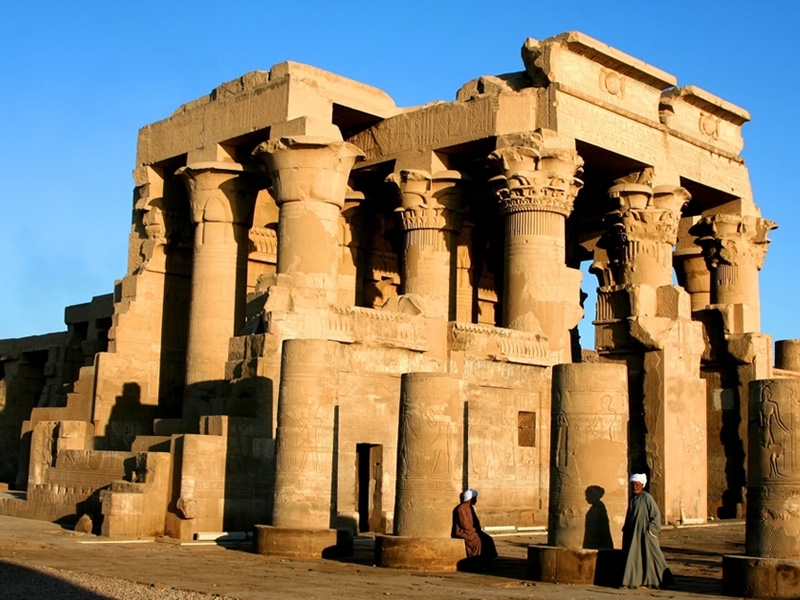 Kom Ombo Temple is divided into two parts, separated by an imaginary longitudinal line; the right-hand part was dedicated to Sobek, associated in the triad with Hathor and Khonsu, and the left-hand part to Horus, accompanied by Senetnofret and Penebtaui. 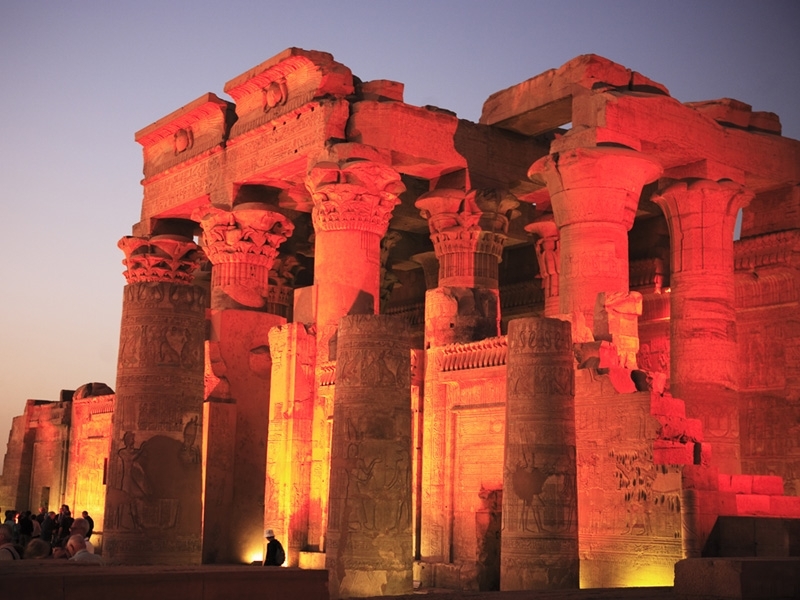 Kom Ombo temple is a double temple, the only one of its kind in Egypt. The structure consisted of two identical adjacent sectors, each of which was independent of the other for the purpose of worship. 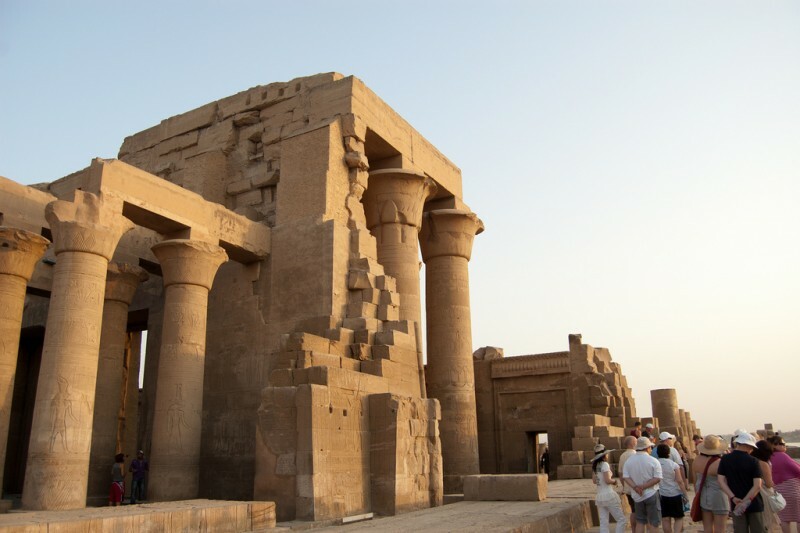 The are two entrances in the pylon and the same number in the pronaos, the hypostyle room and the chambers preceding the two Cellae. 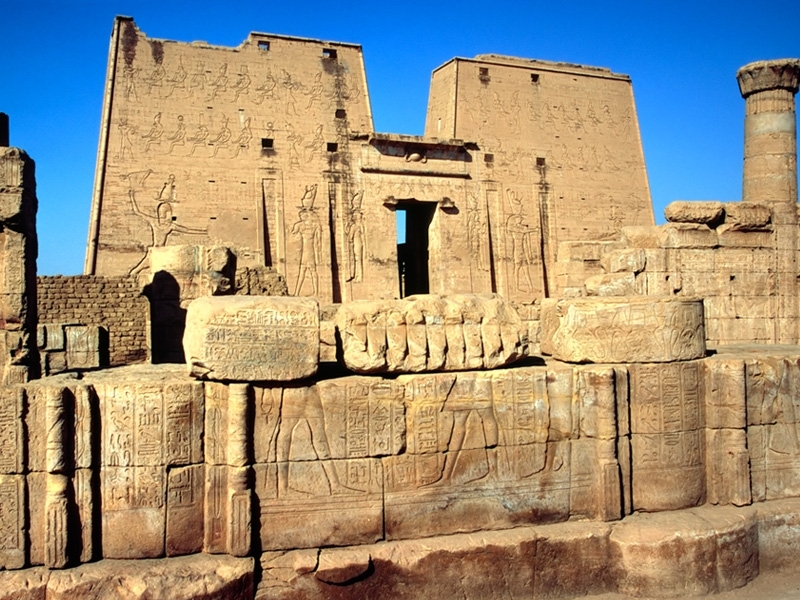 The building did not appear to be formed by two separate, adjacent temples, because there were no tangible internal boundaries except in the naos. 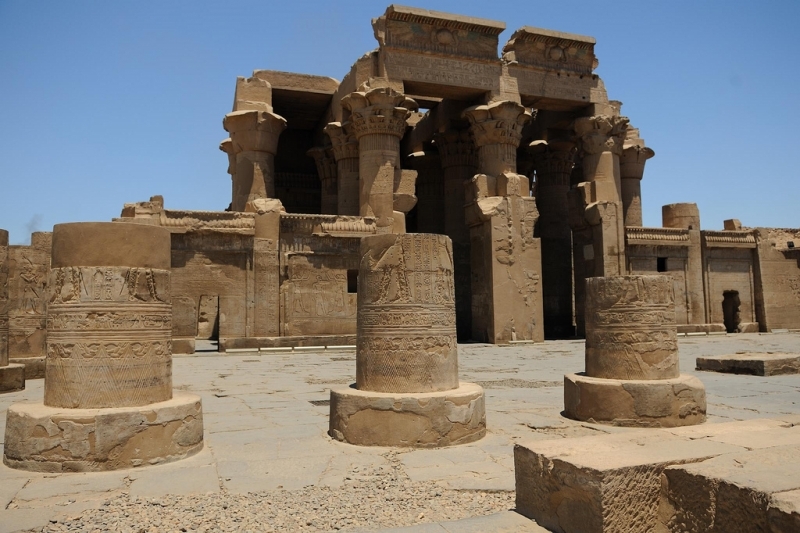 Equally, the unusual duality of Kom Ombo never gave it the appearance of a twinship, still less of inviting competition between the two deities. 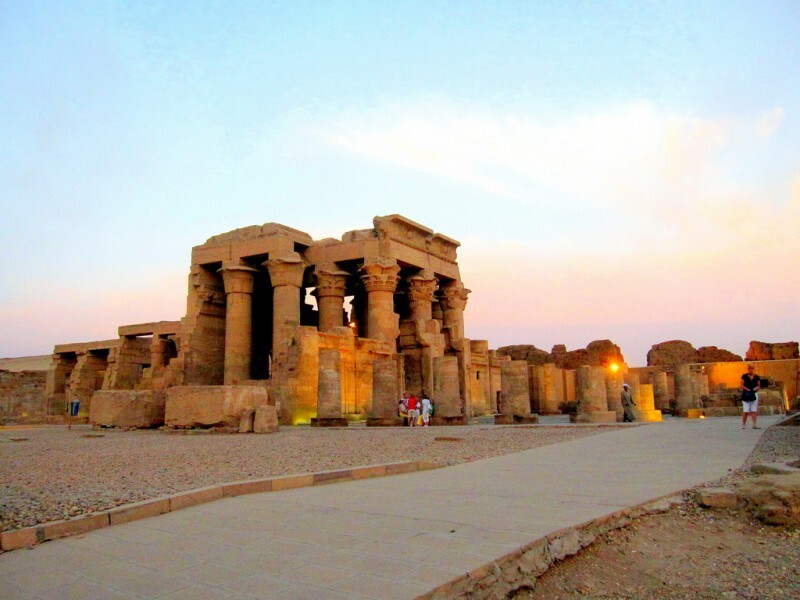 The design of the temple was in fact due to the policy of the Ptolemies who, wishing to confirm their sovereignty over Upper and Lower Egypt, were first crowned in Alexandria, and then crowned again at Kom Ombo. 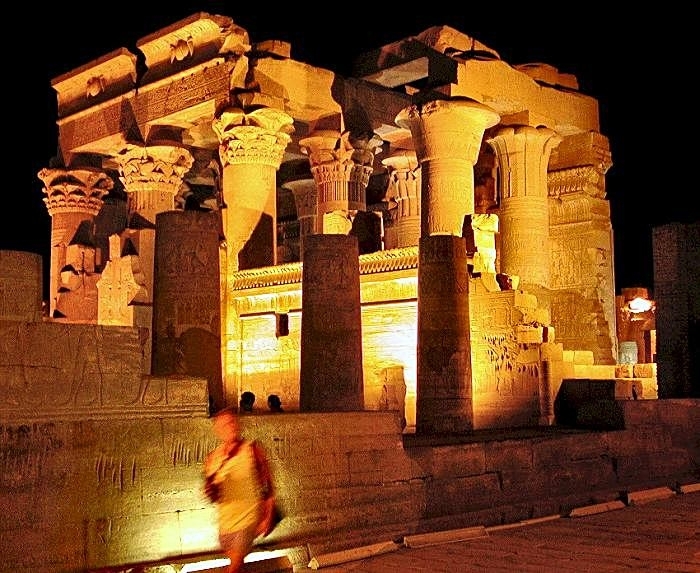 To emphasize and at the same time sanction this double supremacy, the temple was consecrated to Haroeris, traditional patron of the pharaohs who unified the country, and to the crocodile-headed Sobek, worshipped and feared since time immemorial by the inhabitants of Nubia.